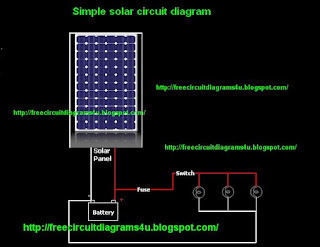 Today We are going to give you a solar circuit diagram.Because most of the people don't know how to connect the solar panel with the batteries and bulbs so this circuit diagram shows you how to do that.When you choose the batteries and bulbs choose them according to the value of your solar panel. Thanks for sharing such an interesting project with us. 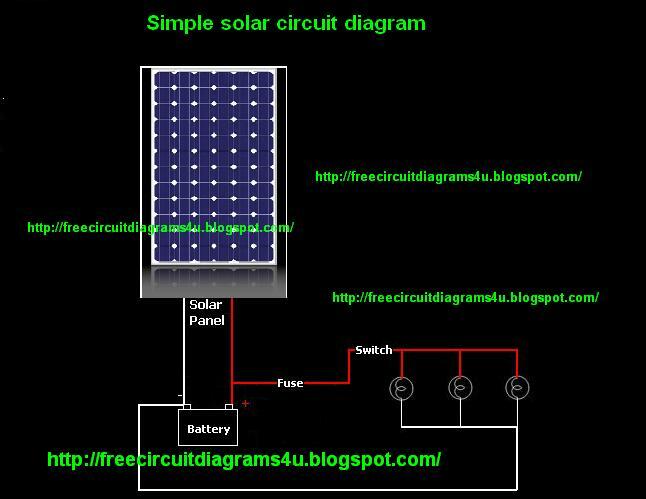 Indeed, the blog post will guide many students of our engineering colleges in India to try out construction of solar circuit diagram in simple and easy way i.e. by connecting solar panels with bulbs and batteries. Need help finding right amplifier? The subwoofer system is the scosche hdfrb6? Per Channel: 50W RMS/150W Peak. 4 Ohms (3.6 DCR) per Channel. Thanks for sharing this blog,Recently I was searching it because I had ordered a solar light from Solar Galore & want to know about it's circuit. So this blog is very usefull for me Thanks. The best electronic devices are provided here The Electronic consultant advancements are making all this services quite important and hence it is necessary to get the best team working for the purpose. There are many top names available in the market Custom electronics Ireland but not all are known to be genuine in this business. Good Article. You have posting so many electronic circuits projects. Really Good Job. Few days back I was finding some Electrical circuits Projects. Here I found good ideas. Thanks for sharing. Engineers Garage is the website where I have found good projects for Electronics and Electrical Engineers. Where students can find various Projects ideas and tutorials on Micro controller, Electric Circuits and more. This may be very helpful. Thanks. Donate to Free Circuit Diagrams 4U ! If you have a problem with our containing things please contact us first.